I had no idea what I was getting myself into when I found out I got accepted to study at the Salzburg Academy on Media & Global Change. All I really knew was I’d be getting a few upper level credits, meeting kids from all over the world and staying in the castle where part of The Sound of Music was filmed. That was enough to convince myself to take a giant leap outside my comfort zone and board the plane to Austria. What I thought was going to be a straightforward three weeks of school and taking advantage of Austria’s beer culture turned out to be the eye-opening cross-cultural experience that I (apparently) sorely needed. 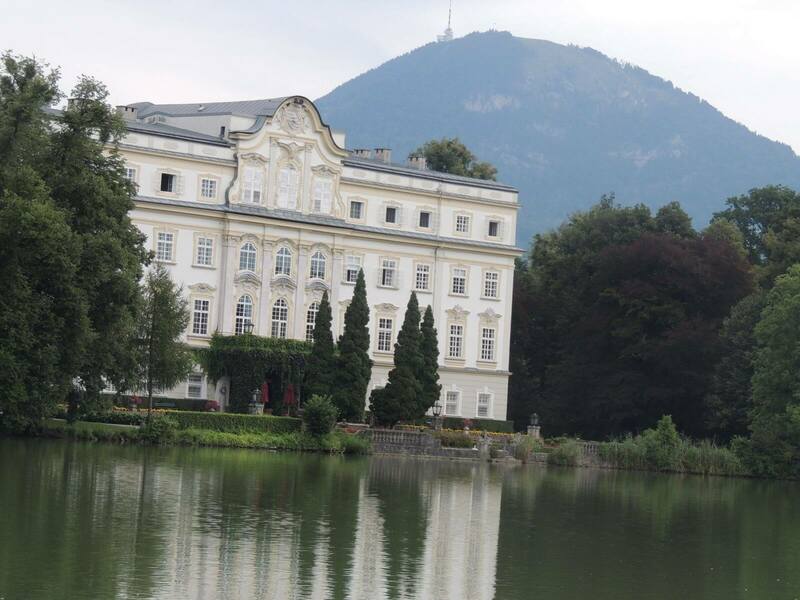 First and foremost, we were living in the lap of luxury at the Schloss Leopoldskron, a castle on a lake surrounded by hills that were clearly alive with the sound of music. The town of Salzburg is the definition of quaint: tiny and full of culture with a surprisingly robust bar scene (shout out to Balthazar’s!). The Salzburg Academy 2012 contained (as far as I’m concerned) the most intelligent, creative and all-around amazing people in the world. The friends I made from Lebanon, Argentina, Mexico, Slovakia, the United Kingdom and several other countries taught me more about the world than 20 years of American schooling ever could. If I learned one lesson, it was just how freakin’ sheltered I’ve been my entire life. The western perspective on the rest of the world is incredibly limited. I was genuinely – and looking back at it, depressingly – shocked to realize that every group represented at the Academy spoke fluent English and was well-versed on world affairs. I felt more like a stupid American than at any other point in my life. So what do you do when you don’t know something? You ask tons of questions that you quickly realize expose your biases and unfounded views of, say, the conditions of Lebanese roads or their exposure to American pop culture. Oh yeah, lesson number two: nothing brings people together quite like a “Call Me Maybe” jam session. Misconceptions were cleared up and stereotypes went out the window. While my perspective expanded, I had the most fun I’ve ever had in my life: climbing the Alps, bar crawling in Vienna, hearing British kids say “ten points to Gryffindor,” learning more Arabic than German (sahah!) and racking up a lifetime’s worth of precious little moments that I’ll never forget. I never want to get back into my comfort zone again. My life began three weeks ago when I left my bubble, which means I need to make up for lost time. I’m thinking a little more traveling is in order. So far, my list contains London, Beirut, Slovakia, Buenos Aires and more. Like a wise young woman said when everyone was saying their tearful goodbyes: this isn’t goodbye, just see you later.